So I decided, in looking at the messy picture of the TV stand, that I could just get a basket and throw the stuff in there, and it would look more tidy. 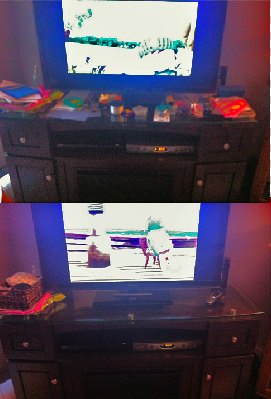 I even dusted the TV stand. My bank account might not appreciate the large number of baskets and storage containers I'm about to invest in but my visitors sure will!